I’m enthralled with the subway—at least the parts I’ve traveled. Choosing between the A- and the 1- trains was simple until recently; the A train always won. The entrance at W. 184th St. is a short walk up Overlook Terrace, and you can grab a book from the Nomat Book Club’s bookcase situated at the curb if you lack reading material. The walk homeward is flat, too. 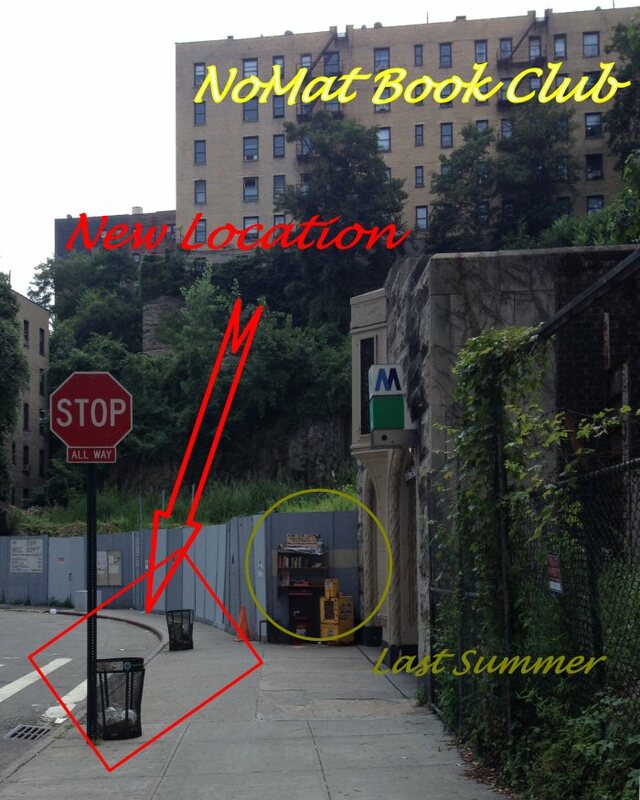 NoMat Book Club at W. 184th St. and Overlook Terrace. Last summer it was on the wall. Now it is at the curb (“New Location”). 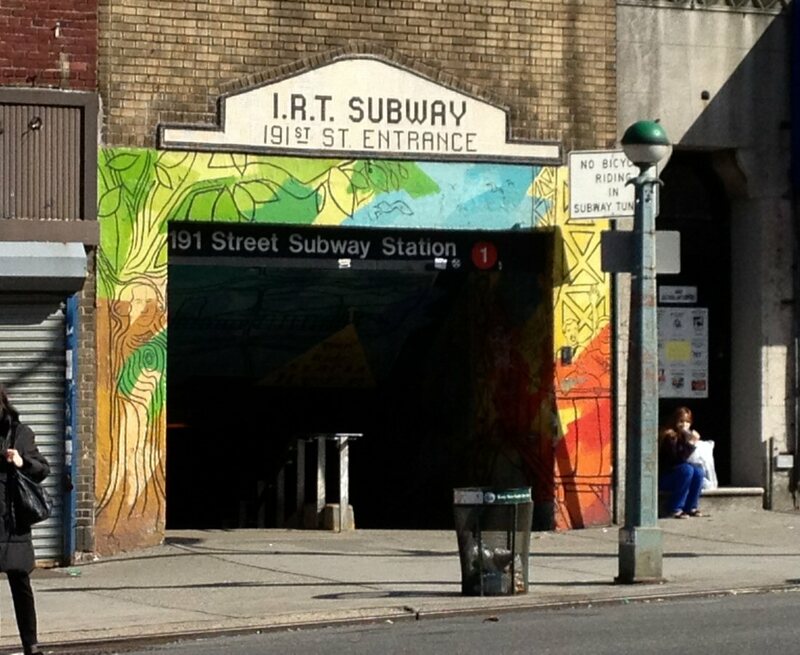 The IRT 191st Street Subway tunnel from Broadway always spooked me. Its dark and gloomy aura promised nightmares with the light fixtures dim and dust-filled. Mysterious mile markers (190.52, etc.) appeared high on the walls, but not regularly. Recently I took the 1 train when a track emergency caused the A train to halt at 168th St. I reluctantly exited the 1, dreading the tunnel. However, I was delighted to see new LED lighting and bright yellow walls (albeit vandalized by graffiti). This development, along with the renovation of the platform, will make the 1 train more desirable a transportation choice… even though the walk homeward is uphill.